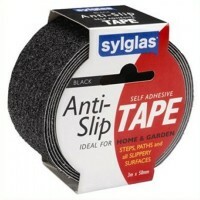 Sylglas Anti Slip Tape Black Features Width 50mm x 3 Metres long. Colour black. 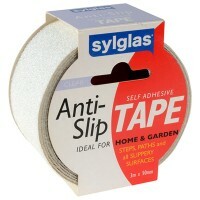 ..
Sylglas Anti Slip Tape Clear Features Width 50mm x 3 Metres long. Colour clear. 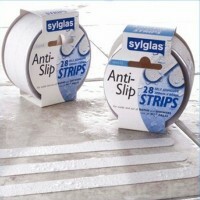 ..
Sylglas Anti Slip Tape Bathroom and Shower Strips Features Diameter 40mm. 60 discs ..
Sylglas Anti Slip Tape Bathroom and Shower Strips Features Width 200mm long x 22mm wide. 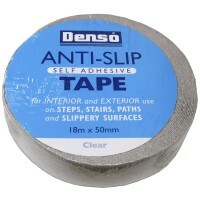 ..
Denso Self Adhesive Anti Slip Tape Clear Features Width: 50mm. Length: 18 metres. 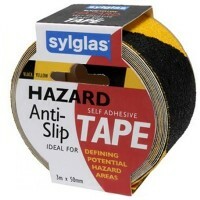 ..
Sylglas Anti Slip Tape Yellow and Black Hazard Features Width 50mm x 3 Metres long. 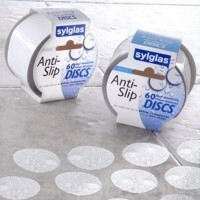 ..
Sylglas Anti Slip Tape Bathroom and Shower Discs Features Diameter 40mm. 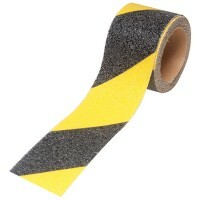 60 discs p..
Faithfull FAITAPESTYB Anti Slip Hazard Tape Features Size 50mm x 3 metres. 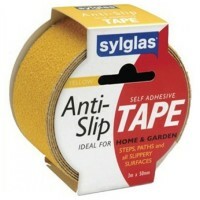 An easy ..
Sylglas Anti Slip Tape Yellow Features Width 50mm x 3 Metres long. Colour yellow. ..